It’s so much easier to spend our time and effort telling people our opinion about how things should be. It’s harder to put that effort into being an example of how we think things should be. But it’s only the latter that has the potential to change the world in the direction we wish to see. 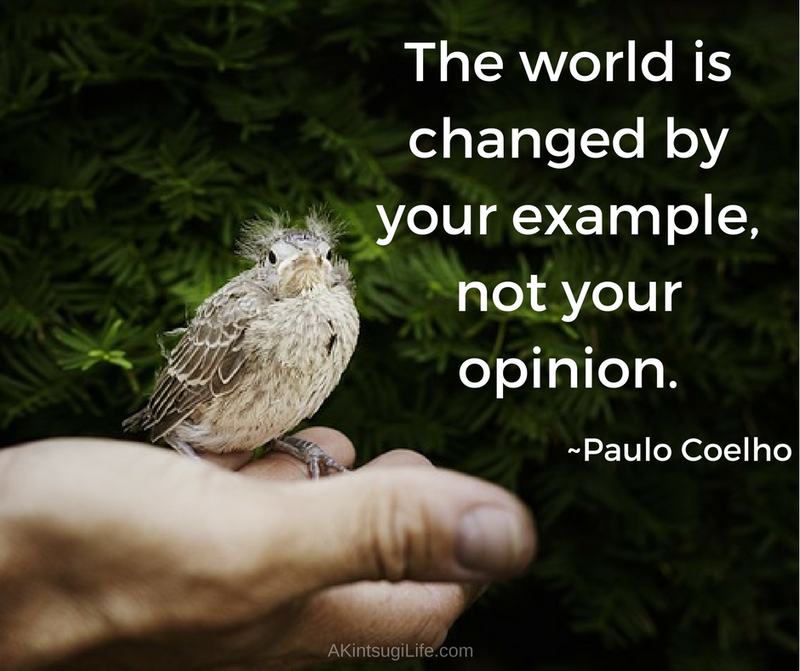 Which of your opinions might you spend more time putting into action as an example today?